Uddhav Thackeray-led Shiv Sena in its mouthpiece Saamana hits-out at BJP's MLA Ram Kadam over his controversial statement on kidnapping girls for men's choice for marriage and compared him with Alauddin Khilji, 13th century Sultan of Delhi. Shiv Sena also questioned ruling BJP's silence over its lawmaker's derogatory remarks. Mocking the ruling BJP's Ram Kadam, Sena said where Prime Minister Narendra Modi was keen to give justice to the Muslim women, victims in Triple Talaq, its MLAs in Maharashtra are making derogatory anti-women remarks. "Rani Padmini committed 'Jauhar' along with thousands of other Rajput women to protect their honour, prestige and religion from Alauddin Khilji. Their 'Jauhar' against Alauddin Khilji and his tyranny is still inspiring women in India. But it seems time has come for the women in Maharashtra to commit 'Jauhar' against the BJP's Khilji," the Sena said in an editorial in party mouthpiece 'Saamana'. "BJP MLA Ram Kadam, who is the chief minister's favourite, uttered derogatory words against women that showed his arrogance. He said 'Just let me know the girl you like and I will kidnap her and hand her over to you'. What kind of hedonistic culture has landed in Maharashtra?" it asked. "Such people have no right to take Chhatrapati Shivaji Maharaj's name and rule the state," it added. "What kind of message is the BJP sending out to the youth in the state? Is this what the party's Hindutva and its culture is all about?... This is bound to happen if you rub dirt on yourself in the greed to win elections. 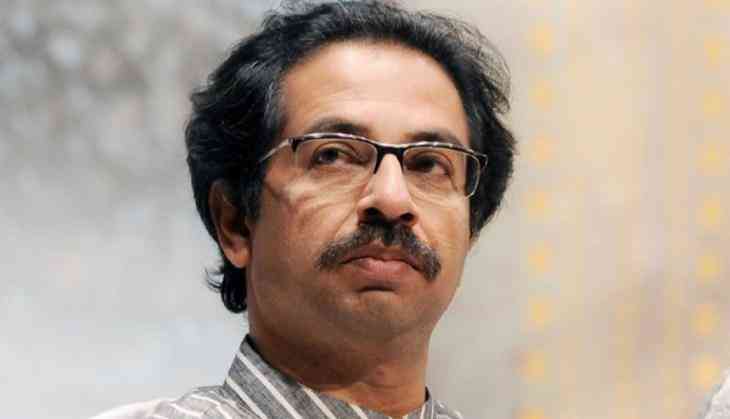 What was sown in the last five years is being reaped now," the Sena said. During a public gather on the occasion of Janamasthmi, Ram Kadam reportedly hit out controversy through his anti-women comments. "You can meet me for any work." "I will help, 100 per cent. Come (to me) with your parents. What will I do if parents approve (the girl a boy has liked)? I will kidnap the girl concerned and hand her over to you (for marriage)," he was heard telling the crowd.